A Friend of the Devil: Inside a famous Cold War deception. One thing it is not a testament to is the C.I.A.’s tradecraft. The evidence of the agency’s covert funding system was hidden in plain sight. The world got a peek in 1964, when a House of Representatives subcommittee ran an investigation into the tax-exempt status of philanthropic foundations. The committee had trouble getting information from the I.R.S. about a certain New York-based charitable foundation, the J.M. Kaplan Fund. The chair of the committee, a Texas congressman named Wright Patman, surmised that the reason the I.R.S. was not coöperating was that the C.I.A. was preventing it. Patman didn’t appreciate the disrespect; in retaliation, he made public a list of eight foundations that, between 1961 and 1963, had given almost a million dollars to the J.M. Kaplan Fund. “Patman attacks ‘secret’ c.i.a. link: Says Agency Gave Money to Private Group Acting as Its Sub-Rosa ‘Conduit’” was the headline in the Times, which published the names of the eight “conduit” foundations. After a closed-door meeting with representatives from the C.I.A. and the I.R.S., Patman emerged to announce that if there was a C.I.A. connection it was no longer of interest to his subcommittee, and that he was dropping the matter. Paget doesn’t explain how Wood contacted the press. The story is that he met Marc Stone, a public-relations man who happened to be the brother of the investigative journalist I.F. Stone, and who represented a West Coast magazine called Ramparts. Though only four years old, Ramparts had become a slick muckraker with a New Left slant and a rapidly growing circulation under its young editor, Warren Hinckle. American churches and mission boards, reacting indignantly to admissions last fall by the White House and the Central Intelligence Agency that overseas missionaries have been regularly used in information gathering, are mounting a drive to stop such practices through governmental action and improved internal safeguards. In separate letters to Senator Mark O. Hatfield, Republican of Oregon, who is sponsoring legislation to prohibit all involvement between religious workers and intelligence operations, the Director of Central Intelligence, William E. Colby, on Sept. 23, and Philip W. Buchen, White House Counsel, on Nov. 5, conceded that the use of missionaries had been standard procedure. Both letters contended that such cooperation violated neither the law nor the integrity of the missionaries. After public disclosure of the letters on Dec. 12, church officials, already disturbed by earlier reports of widespread covert contacts between Government agents and religious workers, began to assess the meaning of what was now shown to have been official policy. The disclosures have touched off expressions of shock and outrage from some of the nation's largest churches. There have been demands for an immediate cessation of all intelligence work among missionaries and for changes in Government standards. Religious groups ranging from evangelicals to main‐line denominations have protested, both about the condoning of such behavior and as a reaffirmation of the belief that the missionary's role is to serve God rather than nation. Among the chief concerns of the churches are the safety of missionaries, who more than ever may be suspected of C.I.A. connections, the sanctity of the separation of church and state and the morality of using persons as unwitting accomplices. Open cooperation between intelligence operatives and missionaries has been uncovered, but knowledgeable observers agree that such cases are rare exceptions. They say that most missionaries have resisted such working arrangements. There are currently 35,000 Protestants and 7,200 Roman Catholics serving abroad in a variety of missionary capacities ranging from preaching to poultry farming. Together they constitute what one Latin‐American church authority, Gary MacEoin, calls “the most important United States presence around the world,” privy to grass‐roots knowledge of a vast assortment of cultures and people. Often they have worked for years to win the trust of local people. The recent disclosures could jeopardize their credibility and, in some cases, such as that of three missionaries currently held by Mozambique on charges of having C.I.A. ties, their lives. Mr. Colby, first in his letter to Senator Hatfield, then in a Jan, 16 letter to the leadership of the National Council of Churches asserted that there was no need for a change in the C.I.A. standards. Several church officials prefer an Executive order from Mr. Ford to the more tedious process of enacting legislation. Others oppose the Hatfield bill on the ground that forbidding all contact between church people and intelligence agents might infringe on the right of any citizen to enter into voluntary associations. While some churches believe accounts of attempts to use missionaries have caused unnecessary alarm, other bodies are preparing to take severe measures against any individual known to be providing intelligence information. Among them is the Board of Global Ministries of the United Methodist Church, which declared on Dec. 18 that it would be “inconsistent” to retain Personnel known to be “intentionally engaged” in intelligence work. “Missionaries of the United Methodist Church are servants of Jesus Christ, and under the separation of church and state are not agents of any government,” the board's statement said. In the absence of a change in Federal law or policy, and in the growing conviction that an effective solution must include stiff self‐regulation by churches, mission boards are weighing adoption of codes of ethics and intensified instruction to missionaries on how to avoid potential entanglements. The Rev. Bryan Hehir, associate secretary for justice and peace of the National Conference of Catholic Bishops, has called upon Roman Catholic missionary orders to draw up their own sets of “self‐denying ordinances” that would preclude intelligence work. A more immediate need, many church officials say, is to protect the interests of missionaries exposed to possible dangers because of the disclosure of C.I.A. links. Mr. Marks believes that massive appeal from churches would greatly enhance the possibility of a change in Federal policy. Support for a policy revision has come from such diverse bodies as the evangelically based World Vision International, which has accepted funds from the Agency for International Development, Southern Baptists, the Church of the Nazarene, the United Presbyterian Church in the U.S., the Mennonite Central Committee, the United Church of Christ and the United Methodist Church. Though church officials generally agree that the scale of efforts by the C.I.A. to involve missionaries has declined in recent years, for a variety of factors, they also say that the possibility of C.I.A. overtures continues to keep them on the alert. Three weeks ago, for example, the Rev. Donald MacInnis, director of the Midwest China Study Resource Center in St. Paul, who is a former Methodist missionary to China, received a phone call from man describing himself as an employee of the C.I.A. Mr. MacInnis said he had asked the man if he knew of the controversy over the C.I.A. 's use of missionaries and that the man had responded affirmatively. Mr. MacInnis said that he had said that any contact between himself and the man was out of the question. Iran: Church Retreat Centre Confiscated for "Being Funded by CIA"
The Iranian government has assumed control of a church-owned retreat centre, accusing the church of being funded by the US government and the CIA. The government said the retreat centre in Karaj, a city just west of Tehran, belonged to an organisation “funded by the US through the CIA spy agency to infiltrate the Islamic world, and particularly Iran, by conducting evangelistic activities”. Article 18, a London-based NGO, says the move represents a “renewed phase” in the government’s crackdown on Protestant churches, “with intensifying efforts to confiscate remaining properties [that] belong to Evangelical churches”. Article 18’s Mansour Borji told the BBC yesterday (11 Dec.) that, after the government linked the Church with the CIA, “every church leader, every church member [will be] quite frightened because of the prospects of prison and being labelled as collaborators with the ‘enemy’”. Christians, Jews and Zoroastrians are “protected religious minorities” under Iran’s constitution, but Article 18 says Iran’s “constitutional theocracy discriminates against its citizens on the basis of religion”. Traditionally, Iran’s Christian minority was comprised of ethnic minorities of Armenian and Assyrian descent, but Article 18 says an increase in Iranian nationals converting to Christianity has been seen as a “threat to the nation’s security”. The retreat centre has been owned by the Council of Assemblies of God (AoG) Churches in Iran since the early 1970s. The AoG Church in Iran was established prior to the 1979 Revolution; it is not organisationally affiliated with the AoG denomination in the US. After the Islamic Revolution, the status of Assemblies of God as a registered religious institution in Iran was re-instated. One reason for the confiscation seems to have been a misunderstanding relating to the former name of the affiliated Central AoG Church in Tehran, which used to be known as “Philadelphia”: a name commonly used all over the Christian world, and not necessarily linked to the city in the US, or to any other appearance of the same name anywhere else in the world. However, as Article 18 explains, “While the Central AoG Church in Tehran was formerly called ‘Philadelphia’, this alluded to the Greek word found in the New Testament meaning ‘brotherly love’. Nevertheless the former name is reported to have been referenced consistently during interrogations. By deliberately, and erroneously, ascribing the former name of the Tehran Central Church to the US and falsely attributing the AoG’s funding to the CIA, the authorities appear to be seeking to facilitate both the seizure of property in line with the remit of the EIKO, and the possible prosecution of remaining church leaders on national security-related charges”. WASHINGTON, Aug. 31 —Representative Wright Patman disclosed today that the Central Intelligence Agency had given money to a private foundation that, he said, had served as a “secret conduit” for the agency. The Texas Democrat quoted an unidentified official of the agency as having said that the intelligence agency had had an “arrangement” with the J. M. Kaplan Fund of New York City from 1959 until some time this year. The Internal Revenue Service, which is investigating the foundation's tax‐exempt status, confirmed that the intelligence agency had given financial support to the Kaplan Fund. But a spokesman for the service said he knew of no working arrangement between the two groups. Mr. Patman did not elaborate on his statement that the agency had used the fund as “secret conduit.” It is known however, that the agency uses existing foundations, or occasionally creates its own, as vehicles for the gathering of intelligence. The Congressman said he was disclosing the agency's payments to the fund because he thought he had been “trifled with” in connection with the case. The agency, following its tradition of strict secrecy, had no comment. Mr. Patman's disclosure at a public hearing of his House Small Business subcommittee was the source of some concern and embarrassment to Internal Revenue officials attending as witnesses. Apparently, the intelligence agency's involvement with the Kaplan Fund was a secret shared by only a few persons in official Washington. Mitchell Rogovin, an assistant to the Commissioner of Internal Revenue, said that until Aug. 10, the date of the last Patman subcommittee hearing on the subject, he was the only present employee of the service who knew of the C.I.A.‐Kaplan relationship. Even the New York District office of the Revenue Service, which is conducting the Kaplan investigation, was not aware' of the relationship, Mr. Rogovin said. The Revenue Service has been examining the Kaplan Fund for several years to determine whether it should be permitted to retain its tax‐exempt status. The fund has contributed money to a number of charitable and educational projects, particularly in the New York City area. Mr. Patman's subcommittee has been reviewing the tax‐exempt status of certain foundations to see whether some of them are taking advantage of it. Mr. Rogovin told Mr. Patman today he had informed the intelligence agency of the Revenue Service's interest in the Kaplan Fund. But he denied there was any “arrangement” among the agency, the service and the fund. What seemed to bother Mr. Patman was whether the agency knew the Kaplan Fund was under the scrutiny of the Revenue Service. He explained that he had not planned to make public a matter touching on “foreign, affairs” but indicated he had been irked by his difficulty in getting all the information he wanted about the case. He said he had asked his Informant in the intelligence agency to tell him the months the agency had given money to the‐foundation, and which persons in the agency had selected the fund. The agency did not provide the answers, Mr. Patman said. He then decided, he went on, that to break a confidence and make the issue public was the only way he could get meaningful information. “I feel I have been trifled with,” he said. Mr. Rogovin and the acting commissioner of the Revenue Service, Bertrand M. Harding, agreed to discuss confidential aspects of the case privately with Mr. Patman. Mr. Patman charged last Aug. 10 that Mr. Kaplan had used the foundation to further' his business empire. The Revenue Service does not discuss publicly any tax case it is investigating. But Mr. Patman asked the service today to supply the addresses and tax-exempt history of eight foundations he said had contributed a total of $923,950 to the Kaplan Fund between 1961 and 1963. The donors were listed as the Gotham Foundation, the Michigan Fund, the Andrew Hamilton Fund, the Borden Trust, the Price Fund, the Edsel Fund, the Beacon Fund and the Kentfield Fund. The Ecumenical Movement met with initial successes in the late 19th and early 20th centuries, including the Edinburgh Missionary Conference of 1910 (chaired by future WCC Honorary President John R. Mott). In 1920, the Ecumenical Patriarch of the Eastern Orthodox Church, Germanus V of Constantinople, wrote a letter "addressed 'To all the Churches of Christ, wherever they may be', urging closer co-operation among separated Christians, and suggesting a 'League of Churches', parallel to the newly founded League of Nations". Church leaders agreed in 1937 to establish a World Council of Churches, based on a merger of the Faith and Order Movement (under Charles Brent of the Episcopal Church of the United States) and Life and Work Movement (under Nathan Söderblom of the Lutheran Church of Sweden) organisations. Its official establishment was deferred with the outbreak of World War II until August 23, 1948. Delegates of 147 churches assembled in Amsterdam to merge the Faith and Order Movement and Life and Work Movement. This was consolidated by a second meeting at Lund in 1950, for which the British Methodist Robert Newton Flew edited an influential volume of studies, The Nature of the Church. Subsequent mergers were with the International Missionary Council in 1961 and the World Council of Christian Education, with its roots in the 18th century Sunday School movement, in 1971. WCC member churches include most of the Eastern Orthodox and Oriental Orthodox Churches; the Anglican Communion; some Old Catholic churches; and numerous Protestant churches, including some Baptists, many Lutheran, Methodist, and Presbyterian and other Reformed, a sampling of united and independent churches, and some Pentecostal churches. Many churches who refused to join the WCC joined together to form the World Evangelical Alliance. Delegates sent from the member churches meet every seven or eight years in an Assembly, which elects a Central Committee that governs between Assemblies. A variety of other committees and commissions answer to the Central Committee and its staff. Assemblies have been held since 1948. The "human rights abuses in communist countries evoked grave concern among the leaders of the World Council of Churches." However, historian Christopher Andrew claims that, during the Cold War, a number of important WCC representatives of the Orthodox Church in Eastern Europe had been working for the KGB, and that they influenced the policy of the WCC. From 1955 to 1958, Robert S. Bilheimer co-chaired a WCC international commission to prepare a document addressing the threat of nuclear warfare during the Cold War. At the 1961 conference, a 32-year-old Russian Orthodox Bishop named Aleksey Ridiger was sent as delegate to the assembly, and then appointed to the WCC's central committee. He was later elected as Russian patriarch in 1990 as Alexei II. The ninth assembly took place in Porto Alegre, Brazil in February 2006, under the theme "God, in your grace, transform the world". During the first Assemblies, theologians Vasileios Ioannidis and Amilkas Alivizatos contributed significantly to the debates that led to the drafting of the "Toronto Statement", a foundational document which facilitated Eastern Orthodox participation in the organization and today it constitutes its ecclesiological charter. The 10th Assembly was held in Busan, Republic of Korea, from 30 October to 8 November 2013. In 2013 Dr. Agnes Abuom of Nairobi, from the Anglican Church of Kenya, was elected as moderator of the Central Committee of the World Council of Churches; she is the first woman and the first African to hold this position. Current WCC programs include a Decade to Overcome Violence, an international campaign to combat AIDS/HIV in Africa and the Justice, Peace and Creation initiative. Focal issues have been globalization and the emergence of new social movements (in terms of people bonding together in the struggle for justice, peace, and the protection of creation). The largest Christian body, the Catholic Church, is not a member of the WCC, but has worked closely with the Council for more than three decades and sends observers to all major WCC conferences as well as to its Central Committee meetings and the Assemblies (cf. Joint Working Group). The Pontifical Council for Promoting Christian Unity also nominates 12 members to the WCC's Faith and Order Commission as full members. While not a member of the WCC, the Catholic Church is a member of some other ecumenical bodies at regional and national levels, for example, the National Council of Churches in Australia and the National Council of Christian Churches in Brazil (CONIC). Pope Pius XI stated in 1928, that the only means by which the world Christian community was to return to faith, was to return to Roman Catholic Worship. In this regard, there was the idea that the Papacy had rejected, to a great extent, the participation of the Catholic Church within the World Council of Churches. Pius XI stated that the ‘One true Church’ was that of the Roman Catholic denomination, and therefore there was the implication that the Catholic Church was not permitted at this stage to engage with other denominations, which the Papacy considered to be irrelevant. The Catholic Church therefore did not attend the 1948 meeting of the WCC, in addition to the idea that all members of the church were barred from attending WCC conferences. Pope St. John XXIII took a different stance however, and in 1958 he was elected as the head of the Catholic Church. Ecumenism was a new element of catholic ideology which had been permitted, which was signified to a great extent, when John XXIII met with the then Archbishop of Canterbury, Geoffrey Fisher. This was the first meeting between an Archbishop of Canterbury, and the Pope in the Vatican for 600 years. John XXIII later developed the office of the Secretariat for Promoting Christian Unity; which symbolised a dramatic shift in support for the ecumenical movement, from the Catholic Church, led from the Vatican. 1961 saw Catholic members attend the Delhi conference of the WCC, which masked a significant shift in attitude toward the WCC from the Papacy. There was the idea in addition to this, that the Pope invited non-Catholics to attend the Vatican II council. This new approach to inter-denominational relations was marked within the Unitatis Redintegratino. Further reforms have been enacted with regard to the nature of the Catholic Church on the world stage, for instance the 1965 union with the Patriarch of Constantinople, whereby the 1054 schism was undermined. In addition to this, Michael Ramsay, the then Archbishop of Canterbury, received an episcopal ring in 1966; a mark of union which had not been seen since prior to the reformation. Moreover, the Anglican, Roman-Catholic International Committee was additionally established as a means of promoting communication and cohesion between the two denominations. This has since marked a new level of participation of the Catholic Faith in the aforementioned ecumenical movement, and therefore is the basis for increased participation from the faith, in the WCC. A Special Commission was set up by the eighth Harare Assembly in December 1998 to address Orthodox concerns about WCC membership and the Council's decision-making style, public statements, worship practices, and other issues. It issued its final report in 2006. Specific issues that it clarified were that the WCC does not formulate doctrine, does not have authority to rule on moral issues, nor does it have any ecclesiastical authority. Such authority is entirely internal to each individual member church. It proposed that the WCC adopt a consensus method of decision making. It proposed that Orthodox members be brought in parity with non-Orthodox members. It further proposed clarification that inter-confessional prayer at WCC events is not worship, particularly "it should avoid giving the impression of being the worship of a church", and confessional and inter-confessional prayer each be specifically identified as such at WCC events. It also clarified that the so-called "Lima Liturgy" is not an interfaith eucharistic service: 'the WCC is not 'hosting' a eucharist'. The WCC is also a prominent supporter and practitioning body for Peace journalism: journalism practice that aims to avoid a value bias in favor of violence that often characterizes coverage of conflict. The ACT Alliance, bringing together over 100 church-backed relief and development organizations worldwide, was born out of the merger of ACT International (Action by Churches Together International) and ACT Development (Action by Churches Together for Development) in March 2010. Both ACT International, established in 1995, and ACT Development (2007) were created through the leadership of the World Council of Churches (WCC). The two bodies coordinated the work of agencies related to the member churches of the WCC and the Lutheran World Federation in the areas of humanitarian emergencies and poverty reduction respectively. The Ecumenical Advocacy Alliance was officially founded in December 2000 at a meeting convened by the WCC. There are currently 73 churches and Christian organizations that are members of the Alliance, from Catholic, Evangelical, Orthodox and Protestant traditions. These members, representing a combined constituency of tens of millions of people around the world, are committed to working together in public witness and action for justice on defined issues of common concern. Current campaigns are on Food and on HIV and AIDS. The Ecumenical Church Loan Fund (ECLOF) was founded in 1946 as one of the world's first international micro-credit institutions in the service of the poor. Willem Visser 't Hooft, then general secretary of the "WCC in process of formation" played an important role in founding ECLOF. It was he who sketched the prospects and challenges for the proposed institution and gave specific ideas on potential sources of funds. His inspiration and teamwork marked the beginning of a long and fruitful cooperation between ECLOF and the WCC. The Ecumenical Development Cooperative Society U.A (now known as Oikocredit) was developed from discussions at the 1968 Uppsala 4th Assembly, regarding church divestment from financial institutions supporting apartheid-era South Africa and the war in Vietnam. After several years of planning, the cooperative society was founded in 1975 in the Netherlands to provide an alternative ethical investment vehicle to church institutions, by providing credit to productive enterprises serving economically disadvantaged populations. Originally organized for large institutional members of the WCC, by 1976 local congregations developed Support Associations to enable congregations as well as individuals to participate. EDCS became independent from the WCC in 1977. Ecumenical News International (ENI) was launched in 1994 as a global news service reporting on ecumenical developments and other news of the churches, and giving religious perspectives on news developments worldwide. The joint sponsors of ENI, which was based at the Ecumenical Centre in Geneva, Switzerland, are the World Council of Churches, the Lutheran World Federation, the World Alliance of Reformed Churches, and the Conference of European Churches, which also have their headquarters at the Ecumenical Centre. A shortage of funds led to the suspension of the work of ENI in 2012. As of 2015 ENI remains closed. The WCC has not sought the organic union of different Christian denominations, but it has, however, facilitated dialogue and supported local, national, and regional dialogue and cooperation. Membership in a regional or national council does not mean that the particular group is also a member of the WCC. It is claimed the KGB has infiltrated and influenced past WCC councils and policy. In 1992, Father Gleb Yakunin, a vice Chairman of a Russian parliamentary commission that investigated the activities of the KGB, citing verbatim KGB reports, claimed that its Fifth Directorate was actively involved in influencing WCC policy from 1967 to 1989. For example, in the 1983 WCC General Assembly in Vancouver, one cited document described the presence and activities of 47 KGB agents to secure the election of an "acceptable" candidate as General Secretary. The Mitrokhin Archive reveals more about the depth of the penetration and influence wielded by the KGB over the WCC. Metropolitan Nikidim was a KGB agent, codenamed ADAMANT, who served as one of six WCC Presidents from 1975 until his death. :729 His earlier intervention had resulted in the WCC making no comment on the invasion of Czechoslovakia. :636 As a result of his influence and that of other agents, it is claimed the USSR was rarely publicly criticised. :637 In 1989, copies of the KGB documents claim "the WCC executive and central committee adopted public statements (eight) and messages (three)" which corresponded to its own political direction. :637 Appeals from suffering dissidents both from within the Russian Orthodox Church and Protestants were ignored in 1983.:647–8 Metropolitan Aleksi Ridiger of Tallinn and Estonia was repeatedly alleged to be a KGB agent codenamed DROZDOV, who in 1988 was awarded an honorary citation for services to the KGB by its chairman. :650 Despite official disavowals, The Guardian described the evidence as "compelling". In 1990 he became Aleksi II, the 15th Patriarch of the Russian Orthodox Church. Upon his death in 2008, the WCC's official tribute, by its Council officers, described him as "courageous", "supportive and constructive" and the recipient of "abundant blessing", no reference was made to the allegations. The World Council of Churches has been described as taking an adversarial position toward the state of Israel. It has also been claimed the council has focused particularly on activities and publications criticizing Israel in comparison with other human rights issues. Because the WCC never opposed or had any official comments on the destruction of Jewish religious sites in the Middle East, but has constantly complained about Israel's alleged crimes towards Christian sites in Israel, Israel has pointedly ignored the WCC for 50 years and often stated that the WCC's opinions on Israel are hypocritical to the point of being bankrupt. It is similarly claimed that it downplayed appeals from Egyptian Copts about human rights abuses under Sadat and Mubarak, in order to focus on its neighbour. In 2009, the Council called for an international boycott on goods produced in Israeli settlements, which it described as 'illegal, unjust' and 'incompatible with peace'. In 2013, the General Secretary was reported to claim in Cairo, "We support the Palestinians. The WCC supports the Palestinians, because they are in the right." The WCC's Ecumenical Accompaniment Programme in Palestine and Israel (EAPPI) has been criticised by the Board of Deputies of British Jews for promoting "an inflammatory and partisan programme at the expense of its interfaith relations". The WCC secretariat was involved in preparing and helped disseminate the Kairos Palestine Document, which declares “the Israeli occupation of Palestinian land is a sin against God and humanity because it deprives the Palestinians of their basic human rights”, and in the view of one critic, its "authors want to see a single state". On the other hand, the WCC claims "Antisemitism is sin against God and man". Christian Zionism, which has long represented a substantial proportion of historic and contemporary Protestants, is characterised as a view which "distort(s) the interpretation of the Word of God" and "damage(s) intra-Christian relations". In this context, what is a source of concern is that Islamic fundamentalisms are giving rise to a counter reaction of other religious fundamentalisms, the most dangerous of which is Jewish fundamentalism which exploits the Islamic fundamentalist phenomenon to justify before western societies the distasteful aberrations of Zionism in Palestine. • "Member list — World Council of Churches". oikoumene.org. 2014. Retrieved 2014-11-12. • Cross & Livingstone The Oxford Dictionary of the Christian Church OUP(1974) art. • "About us — World Council of Churches". oikoumene.org. 2017. Retrieved 2017-12-27. • single. Publications.oikoumene.org. Retrieved on 2013-08-09. • World Council of Churches — World Council of Churches. Oikoumene.org (2013-08-04). Retrieved on 2013-08-09. • "Who are we?". World Council of Churches. 2003. Retrieved 2007-04-10. • Ware, Kallistos (29 April 1993). The Orthodox Church. Penguin Adult. p. 322. ISBN 9780140146561. From the beginning of the twentieth century the Ecumenical Patriarchate has shown a special concern for Christian reconciliation. At his accession in 1902, Patriarch Joachim III sent an encyclical letter to all the autocephalous Eastern Orthodox Churches, asking in particular for their opinion on relations with other Christian bodies. In January 1920 the Ecumenical Patriarchate followed this up with a bold and prophetic letter addressed 'To all the Churches of Christ, wherever they may be', urging closer co-operation among separated Christians, and suggesting a 'League of Churches', parallel to the newly founded League of Nations. Many of the ideas in this letter anticipate subsequent developments in the WCC. Constantinople, along with several of the other Eastern Orthodox Churches, was represented at the Faith and Order Conferences at Lausanne in 1927 and at Edinburgh in 1937. The Ecumenical Patriarchate also participated in the first Assembly of the WCC at Amsterdam in 1948, and has been a consistent supporter of the work of the WCC ever since. • "WCC Assemblies 1948 - today". World Council of Churches. Archived from the original on 2011-09-08. Retrieved 2011-08-22. • Flew's ODNB entry: Retrieved 18 September 2011. Subscription required. • "WEA - World Evangelical Alliance Est 1846". Retrieved 2015-07-09. • Forsythe, David P. (2009). Encyclopedia of Human Rights, Volume 1. Oxford University Press. p. 277. ISBN 978-0195334029. • Christopher Andrew, "KGB Foreign Intelligence from Brezhnev to the Coup"', in: Wesley K. Wark (ed), Espionage: past, present, future?, Routledge, 1994, p. 52: "One recently declassified document of 1969 describes the work of five KGB agents on the WCC Central Committee and the appointment of another to a 'high WCC post'. A similar report from 1989 claims that, as a result of agent operations to implement 'a plan approved by the KGB leadership', the WCC Executive and Central Committee adopted public statements (eight) and messages (three) which corresponded to the political course of Socialist [Communist] countries'. While it would be naive to take such boasting entirely a face value, there can be little doubt about the reality of Soviet penetration of the WCC." • Jonathan Gorry (2013). Cold War Christians and the Spectre of Nuclear Deterrence, 1945-1959. Palgrave Macmillan. p. 194. ISBN 978-1137334244. • John Gordon Garrard et al., Russian Orthodoxy Resurgent: Faith and Power in the New Russia., p. 37 f. Google books preview here . • "Official Report of the Ninth Assembly of the World Council of Churches" (PDF). World Council of Churches. Retrieved 2015-07-09. • "WCC General Secretary Welcome Speech of the Official Visit of His Beatitude Archbishop Christodoulos of Athens and of All Greece to the World Council of Churches, 29 May 2006". World Council of Churches. Retrieved 2011-05-03. • "10th Assembly of the World Council of Churches". Retrieved 2015-07-09. • "allAfrica.com: Kenya: First Woman and African Moderator Elected to the WCC Central Committee". allAfrica.com. Retrieved 2015-07-09. • Timeline | | World Council of Churches. Oikoumene.org. Retrieved 2014-01-15. • 10th Assembly of the World Council of Churches — WCC 10th Assembly. WCC-Assembly.info (2012-10-29). Retrieved on 2013-08-09. • Press Center | World Council of Churches. Oikoumene.org. Retrieved on 2014-01-13. • WCC general secretaries since 1948 | | World Council of Churches. Oikoumene.org. Retrieved 2014-01-15. • "World Council of Churches — World Council of Churches". Retrieved 2015-07-09. • "Baptism, Eucharist and Ministry (Faith and Order Paper no. 111, the "Lima Text")". Retrieved 2015-07-09. • "Towards a Common Date for Easter". Retrieved 2015-07-09. • Schmitthenner, Ulrich (1999). Contributions of churches and civil society to justice, peace and the integrity of creation: a compendium (with CD-ROM). Frankfurt, Germany: IKO. ISBN 978-3-88939-491-0. • "JPC Concerns - economy". Retrieved 2015-07-09. • "JPC Concerns - Peace". Retrieved 2015-07-09. • World Council of Churches — World Council of Churches. Wcc-coe.org (2013-08-04). Retrieved on 2013-08-09. • World Council of Churches (14 February 2006). "Final report of the Special Commission on Orthodox Participation in the WCC". World Council of Churches. World Council of Churches. Retrieved 2014-08-30. • "Living Letters visits to churches". Retrieved 2015-07-09. • "WCC press release: Churches launch major humanitarian alliance (24/03/2010)". oikoumene.org. Retrieved 2017-07-15. • "WCC press release: Christian alliance for advocacy marks successes, future challenges (09/12/2010)". oikoumene.org. Retrieved 2017-07-15. • "ECLOF press release: Happy Birthday WCC! (Dec. 1998)". eclof.org. Retrieved 2017-07-15. • Oikocredit. "History of Oikocredit". Retrieved 2015-07-09. • "Ecumenical News International Suspends Operations". christianpost.com. Retrieved 2017-07-15. • "All Africa Conference of Churches". Retrieved 2015-07-09. • "Organization of African Instituted Cburches". Berkley Centre for Religion, Peace and World Affairs. Georgetown University. Retrieved 2017-02-13. • "www.cec-kek.org". cec-kek.org. Archived from the originalon 2005-07-14. Retrieved 2017-07-15. • "Middle East Council of Churches". Retrieved 2015-07-09. • "Pacificforum.com - Stay Tuned!". Archived from the original on 2007-10-10. Retrieved 2015-07-09. • "Soviet Influences: A Report on Active Measures and Propaganda 1986-7" (PDF). US State Department Report. August 1987. p. 12. Archived from the original (PDF) on 2015-02-27. Retrieved 2015-02-27. • Andrew, Christopher; Mitrokhin, Vasili (1999). The Mitrokhin Archive. London: Penguin. ISBN 9780140284874. • Yakunin, Gleb (January 1992). "Argumenty i Fakty article cited in 'Soviet Active Measures in the "Post-Cold War" Era 1988-1991' - for the United States House of Representatives Committee on Appropriations by the United States Information Agency". Argumenty i Fakty (published June 1992). Retrieved 2015-02-26. • Polosin, Vyacheslav (Chair Russian Supreme Soviet's Committee on Denominations and Freedom of Religion), Megapolis Ekspress, January 21, 1992. • Besier, Gerhard; Boyens, Armin; Lindemann, Gerhard (1999). Nationaler Protestantismus und ökumenische Bewegung : kirchliches Handeln im Kalten Krieg (1945-1990). Berlin: Duncker & Humblot. p. 1074. ISBN 9783428100323. • Felix Corley (8 December 2008). "Patriarch Alexy II: Priest who stayed close to the Kremlin while guiding the Russian Orthodox Church into the post-Soviet era". The Independent. London. Archived from the original on 2008-12-07. Retrieved 2008-12-06. • "Confirmed: Russian Patriarch Worked with KGB". Catholic World News citing Keston Institute. 2000-09-22. Archived from the original on 2015-03-03. Retrieved 2015-03-03. • "Russian Patriarch "was KGB spy"]". The Guardian. 1999-02-12. Archived from the original on 2015-03-03. • "Tributes from the General Secretary". World Council of Churhces. Archived from the original on 2015-02-27. Retrieved 2015-02-28. • "Patriarch Alexy II: a powerful voice, constructive and critical". World Council of Churches. 2008-12-05. Archived from the original on 2015-02-27. Retrieved 2015-02-28. • Merkley, Paul (March 1, 2007). Christian Attitudes Towards the State of Israel. Montreal: Mcgill Queens Univ Press. p. 284. ISBN 9780773532557. • Rottenberg, Isaac (1989). The Turbulent Triangle: Christians-Jews-Israel: A Personal-Historical Account. Hawley, Pa.: Red Mountain Associates. pp. 61–2. ISBN 9780899627465. • "Statement on Israeli settlements in the Occupied Palestinian Territory". World Council of Churches website. 2009-09-02. Archived from the original on 2015-08-11. Retrieved 2015-08-11. • "World Council of Churches condemns Israeli occupation". World Bulletin. 2013-04-24. Archived from the original on 2015-02-20. Retrieved 2015-02-20. • "Board of Deputies statement on the Synod EAPPI vote". Jewish Chronicle. 2012-07-12. Retrieved 2014-08-02. • Lowe, Malcolm (April 2010). "The Palestinian KairosDocument: A Behind-the-Scenes Analysis". New English Review. Archived from the original on 2015-02-25. • "Rosh Ha-Shanah greetings 2015 — World Council of Churches". oikoumene.org. Retrieved 2017-07-15. • "A Wesley 'Zionist' Hymn? Charles Wesley's hymn, published in 1762 and included by John Wesley in his 1780 hymn-book, A Collection of Hymns for the use of the People called Methodists". The Wesley Fellowship. 2010-07-01. Archived from the original on 2014-07-05. Retrieved 2014-07-05. • Lewis, Donald (2 January 2014). The Origins of Christian Zionism: Lord Shaftesbury And Evangelical Support For A Jewish Homeland. Cambridge: Cambridge University Press. p. 380. ISBN 9781107631960. • "Statement on Christian presence and witness in the Middle East". World Council of Churches and The Middle East Council of Churches International. 2013-05-25. Archived from the original on 2015-02-21. Retrieved 2015-02-21. • "World Council of Churches - Middle East Council of Churches International & Ecumenical Conference "Christians in the Middle East: Presence and Witness"" (PDF). World Council of Churches website. 25 May 2013. Archived from the original(PDF) on 2015-02-20. Retrieved 2015-02-20. •	World Council of Churches. Members by country and by church Retrieved 2010-03-31. •	W. A. Visser 't Hooft, The Genesis of the World Council of Churches, in: A History of The Ecumenical Movement 1517–1948, R. Rose, S. Ch. Neill (ed. ), London: SPCK 1967, second edition with revised bibliography, pp. 697–724. I have your letter of 2 December 1957, and wish to add my word to the many you are receiving in appreciation for the constructive contribution you have made in your years of active service in the World Council of Churches. I know your successor well, and shall be glad to be of any possible assistance to him. 156 Fifth Avenue, New York 10, N.Y.
As I retire from active service in the World Council of Churches at the end of this month, I find myself thinking gratefully of you and the other friends who year after year have given their loyal support in prayer and thought and money. Looking back over the forty years during which I have been associated with the movement for a greater Christian unity, I am grateful to God for the encouraging developments that have taken place both in this country and around the world. As I look ahead I have no doubt that the coming years will see a much greater advance toward a truly united Church. On the human side, it is such help as faithful friends like yourself have given that has made all this possible. During these last weeks in which I shall have any official responsibility for the finances of the U.S. Conference for the World Council, I am especially anxious that we should come to December 31st with a balanced budget. I therefore hope that you will want to renew your usual contribution toward the Council’s work in this country. For my successor, Rev. Dr. Roswell P. Barnes, who will become the Executive Secretary in the U.S.A. on January 1st, I can wish nothing happier and better than that he should have the same kind of friendly interest and support which you have shown during my years of service. Friends of the World Council of Churches, Inc.
MORLEY SAFER: Religion, money, revolutionary politics. There is no more explosive mixture. Our report, "The Gospel According to Whom," has equal measures of all three. It is a look at the National Council and World Council of Churches. Long before this report was completed, it was condemned from the pulpit, and the National Council suggested we'd succumbed to pressure from the religious right. The National Council is an association of the major American Protestant denominations: the Episcopal Church, the United Methodists, United Presbyterian, United Church of Christ, 32 in all. Most of those churches are also members of the World Council of Churches. Each week American Protestants who belong to those churches put $150 million into their collection plates. Do the people in the pews go along with their leadership on how that money is spent? A fairly typical Sunday morning in a fairly typical town. Americans are still among the most church-going people in the world. About half the population regularly attends services. The congregation is the First United Methodist Church of Logansport, Indiana; Pastor Michael Lusseau presiding. Logansport is middle America and proud of it. Its major vice, in fact, may be the pride it holds in the Berries, its high school baseball team. But this weekend, Pastor Lusseau has more on his mind than his son's batting average. His concern is the money in the collection plate. Americans give more to their churches than any other charity, and this congregation is as generous as any: money to do God's work at home and abroad. But what if some of that money is doing this man's work, or these people? If it surprises you, it may surprise these Methodists even more, for that act of Christian charity this Sunday in Logansport may end up feeding a starving child. That they know. Maybe the gift of literacy to someone somewhere. That they know. Or maybe the price of a brand new Soviet assault rifle. That they may not know. It is near impossible to follow church money in any precise way. When Pastor Lusseau and his parishoners tried to, they found that it was being absorbed into the coffers, committees and ad hoc committees of the United Methodist Church, National Council of Churches and the World Council, and then surfacing in some surprising places. They found some of it was being spent on causes that seemed more political than religious, on causes that seemed closer to the Soviet-Cuban view of the world than Logansport, Indiana's, and they didn't like it. UNIDENTIFIED MAN: The World Council, in particular, has become a political organization and not, as they set out, to be a fellowship of Christian organizations who accept Jesus Christ as our God and savior. UNIDENTIFIED MAN: We don't feel -- that is, the people in our church that have discussed it -- that the Methodists belong in an organization which permits the use of money to accomplish political objectives. Why should we support one group rather than another in Africa any more than we should in the United States? UNIDENTIFIED MAN: I think most of our parishioners feel that their outcries of total frustration are falling on deaf ears. I think there's a bureaucracy there that maybe it's so large, that we can't get to it. SAFER: The bureaucracy they're concerned about, indeed what many American Protestants are concerned about, is largely headquartered, 475 Riverside Drive in New York City. This building is officially known as the Inter-Church Center. The people who work in it call it the God Box. It's the home of the National Council of Churches. It's also the national headquarters for dozens of agencies attached to the United Methodists, the United Presbyterians and other Protestant churches. It's also the U.S. headquarters of the World Council of Churches, which is headquartered in Geneva, Switzerland. All these agencies claim a strict independence from each other, but, in fact, there's a constant exchange of programs and personnel. And although they may be technically independent, they do work in concert and are often hard to distinguish, one from the other. What all the agencies have in common is that they get most of their budgets from the people in the pews, a small percentage of each Sunday's collection plate. The annual budgets are: the United Methodists, $70 million; the United Presbyterians, 35 million; the National Council of Churches, $44 million, and $12 million from American contributions alone to the World Council of Churches. All that money is sent on a very complex maze of programs by groups and organizations in the thousands that touch people's religious and social and their political lives as well. There are bureaucracies within bureaucracies in this building, and often one hand does not know what the other's up to. Bishop James Armstrong is president of the National Council of Churches. He's also United Methodist Bishop for Indiana and is a delegate to the next assembly of the World Council of Churches. Well, are you going to represent some of those grassroots' voices that have strong reservations about what the church is doing in what they regard as political areas? BISHOP JAMES ARMSTRONG: A long time ago, Martin Luther said that his conscience was bound to the word of God. I will certainly be sensitive to what people in the churches are feeling and saying and thinking. SAFER: That hasn't answered the question. Are you going to speak for those people? BISHOP ARMSTRONG: That is not my primary concern. My primary concern is to be faithful to the gospel, as I understand it. SAFER: But do you feel a sense of responsibility to those people? BISHOP ARMSTRONG: Of course I do. And I will attempt, as best I can, to respond on the basis of my understanding of them. SAFER: Bishop Armstrong feels that too much emphasis is placed by outsiders on the political activities of the churches. BISHOP ARMSTRONG: I don't understand why we're never asked about international Sunday school lessons. I don't understand why we're never asked about five billion pounds of clothing and foodstuffs and medicine that have gone to every part of the world to relieve every form of human misery. These are things that don't seem to come into these conversations. SAFER: Well, I think -- I think most people do assume that a religious organization is doing good works, is spreading the world of God, is helping the hungry. What they don't assume is that it's so active in politics. We read Bishop Armstrong a passage from a World Council publication. But would you agree, for example, with a statement that says "The international capitalistic economic system is repugnant to the Christian concept of justice. It's a denial of the lordship of Christ, therefore an abomination to the creator." BISHOP ARMSTRONG: No. No. Nor do I believe that the capitalist system, nor the socialist system, is beyond the judgment of God. We don't belong to Karl Marx. We don't belong to Adam Smith. We belong to Jesus Christ. We must. That's our identity. SAFER: A great deal, though, of the National -- of the World Council would seem to not exactly belong to the Marxist system, but speak in much the same language. BISHOP ARMSTRONG: Well, you're asking me to speak in the language of the United States government. I won't. SAFER: Few would doubt Bishop Armstrong's sincerity, but critics feel that the National and the World Council lean toward Karl Marx when it comes to giving certain financial support. Among the things they object to: money to NACLA, the North American Congress on Latin America, based in New York. Money from the Presbyterian Hunger Program helped NACLA publish this book, Agribusiness in the Americas, an indictment of capitalism and American agricultural corporations. Two million dollars from the World Council went to buy heavy equipment and materials for new economic zones in Vietnam. Critics claim new economic zones are little more than forced labor camps. After the Cuban supported revolution in Grenada, the National Council contributed money to publish a primer on the island. What was produced was a tribute to the revolution. Another item. For a center in Nicaragua that would, quote, "serve the revolutionary reality in Latin America," unquote, $60,000 from the United Methodists. The Cuba Resource Center received heavy financial support from the National Council member churches. It produced blatantly pro-Castro publications. And a continuing theme was to redefine Christianity in Marxist revolutionary terms. Another item. To the Nicaraguan literacy program, $1-1/2 million from the World Council. The purpose was to raise political awareness while teaching reading. The teachers were Cuban; American teachers were not welcome. Another item. The Conference in Solidarity with the Liberation Struggles of Southern Africa in New York was funded and organized by the United Methodists. But when it took place, according to FBI documents, it was run by the U.S. Communist Party and was entirely manipulated by the Soviet Union. The only Methodist official on the platform was the one who gave the invocation. We asked Bishop Armstrong about a few of those examples. Are you familiar with the Cuba Resource Center? SAFER: Have you ever seen their publication? SAFER: It claims to be a newsletter, an information letter about the clergy in Cuba. And in fact, it's a propaganda tract that shouts out the glories of the revolution. BISHOP ARMSTRONG: No, I have no knowledge of it. I want it to be known that my first responsibility in the National Council of Churches is not to dig around in the corners and move into the closets, but to deal with those things I consider supremely important. SAFER: There was an anti-apartheid meeting called at Columbia University in New York that was, in effect, run by the American Communist Party. Your name was on the preparatory committee. BISHOP ARMSTRONG: But I was not contacted. There was no permission for that. SAFER: Well, how did it get there? BISHOP ARMSTRONG: I have no idea. SAFER: So somebody's trying to manipulate. BISHOP ARMSTRONG: I would say so. SAFER: Richard Newhouse is a Lutheran pastor; Ed Robb, a Methodist minister. They claim to represent middle-of-the-road Protestants and, through their organization, the Institute on Religion and Democracy, which is funded by some conservative foundations, they've been putting some tough questions to the World and National Councils. REVEREND ED ROBB: I have the opportunity of preaching all over the country. And I have found that in every geographical area of this nation, people are concerned, many are aroused about the radical left-wing views of the National Council of Churches, and also the views expressed by the bureaucracies of the main line denominations. And then I noticed a pattern of support of totalitarian leftist regimes across the country -- across the world, and an apology for this type of oppression. SAFER: Can you give me one good, hard example? REVEREND ROBB: ETHICA, which is funded by the National Council of Churches, has a booklet out about the colonialism of the United States in Puerto Rico. SAFER: ETHICA is run by Philip -- the Reverend Philip Wheaton, correct? REVEREND ROBB: That's correct. And they have a crusade on about U.S. colonialism in Puerto Rico. And of course the Puerto Rican people have voted time and again to remain a part of the United states as a commonwealth. It seems ridiculous. But why should National Council of Churches' money be spent for such dubious causes as that? SAFER: Philip Wheaton, who runs that, would describe himself as a dedicated Christian. REVEREND ROBB: He comes across as a revolutionary. SAFER: The Reverend Philip Wheaton is an Episcopalian priest who heads a group called ETHICA, which promotes liberation theology in Latin America. ETHICA gets $15,000 a year from the National Council of Churches, and Wheaton acts an an adviser on Latin America and the Caribbean. REVEREND PHILIP WHEATON: My feeling, Morley, is that colonialism is dead, that dictatorial rule has the writing on the wall, if not moving out of existence and style, that the whole previous concept of the United states as an empire is under very strong attack. SAFER: You say you fellow the people. Do you fellow the people when they choose violence, terrorism? When they've aligned themselves with godless Marxism, do you still follow them? REVEREND WHEATON: I really object, Morley, to the use of the word "terrorist," because it's not only a catchword, but it's a propagandistic word. And if you look at 90% of the terror that's going on in Central America, it is being created not only by the ruling juntas and the paramilitary forces, but by U.S. aid and support going to those regimes. SAFER: You get financial support from the National Council of Churches. Do you think the people who put their dollar bills into the collection plate on Sunday morning go along with your ideas? REVEREND WHEATON: People throughout the churches in the United States, in relationship to Central America and the Caribbean, are reading our materials, are using our materials regularly for study programs. The Methodist Church has a regular program of bringing students into Washington, D.C., and they bring me in to present an analysis of Central America. So my answer is that certainly a portion of the churches find our work very helpful, very useful. PASTOR RICHARD NEWHOUSE: In El Salvador, you'll find that the National Council of Churches and the main line denominational bureaucracies have consistently supported the FDR, the Marxist guerrillas. But when you challenge them, they'll say, well, show us a resolution where we are supporting the FDR? And there is no resolution. But if you read all their materials, if you see where their money is being spent, you'll find that all of their sympathies are with the FDR. SAFER: As an example of the churches showing a political bias, critics point to this film strip on the war in El Salvador, produced by the United Methodist Church, in cooperation with the National Council of Churches. NARRATOR: Many of the FMLN have been branded communists, but everywhere I walked I saw the cross of Christ. The Christian symbol of death and resurrection was worn around the neck along with the bullets. To our Western minds and hearts, to see this juxtaposition of the cross and the gun is a shock. But in our own history through the Revolutionary and Civil Wars, we have frequently sought God's help in fighting the forces of injustice. PASTOR NEWHOUSE: There're certainly many people in the churches who will quite frankly say that they are committed to the world -- to the global revolution, of which they believe the antithesis is the United States and the United States influence in the world. SAFER: The National Council, World Council would argue that what they spend in the areas you're critical of is really just a tiny part of their entire budget. REVEREND ROBB: Well, that's true. It is a small part. I would say that it's far too much. Any money is too much. But that only represents a small part of what we're concerned about. Staff involvement is another thing. And then another thing is the education, or reeducation of people. We've had a study booklet on Cuba lifted up as the model for Latin America. Well, this could not be money that was given to a pro-Marxist cause, but it was propaganda, we believe, for a pro-Marxist cause. PASTOR NEWHOUSE: And it was held up as a model, Ed, not only for Latin America or for China, but also for the United States. People, just very understandably, cannot follow through the whole track of where that dollar goes. They have to trust their leadership to a large extent, that when they say, you know, this is an appeal to meet human needs and the suffering of hungry people, or whatever, that that's how the money's going to be used. And I think, for the most part, that is how the money's used. But it is also true that, today, the crisis that this whole conversation is about is created by a lot of instances in which people found that that isn't the case, in which they found that things were being supported and promoted which they had no intention of endorsing whatsoever, and nobody asked them. SAFER: One is careful in this kind of report to not make the suggestion of guilt by association, to not use what are generally described as McCarthy tactics. But whether it is by design or mischance or deliberate manipulation from outside the churches, church money and the churches themselves are found to be supporting highly political movements. CISPES, the Committee in Solidarity with the People of El Salvador, set up to support the cause of the FDR guerrillas in the United States, is an example. The National Council could fairly say that this is not a group it officially supports. Yet an ad hoc committee, made up of various member denominations, working out of National Council headquarters, helped CISPES get started. And the denominations give it money and support services. When CISPES released some controversial documents that it claimed were confidential State Department memoranda on American involvement in El Salvador, the very same documents were also released by a group called the Washington Office on Latin America, which is funded by the National Council and member churches. The FBI says this document is a forgery, precisely the same forgery the KGB tried to circulate earlier in Central America. The New York Times, having quoted from the document, later admitted it had been duped. But Pastor Newhouse has other concerns. PASTOR NEWHOUSE: What worries me most, indeed outrages me most, is when the church starts telling lies, when we start just sheer telling lies, and when we start telling lies about countries where people are being imprisoned and tortured and slaughtered, as in Indochina, for example, after the American withdrawal, and we paint a rosy picture of this and pretend it isn't happening. And then the height of hypocrisy is to pretend that in painting a rosy picture of the sufferings of the poor and making excuses for those who oppress the poor, that one is speaking on behalf of the poor. So we have religious leaders who go to countries which are massively repressive regimes, in which Christians are in jail, are being tortured, have been killed by the thousands, and they go to those countries, and our religious dignitaries consort with the persecutors of the church of Christ. This is evil. This is wrong. This discredits the church as social witness. It undermines any elementary notion of justice. We have to turn this around. SAFER: We'll be back with the second part of "The Gospel According to Whom" in a moment. SAFER: In this second part of "The Gospel According to Whom," we concentrate mostly on the World Council of Churches, the international community of churches that includes American Protestant denominations, plus churches in over 100 other countries. The World Council spends, on the average, about $85 million, again for relief work, for missionary work, operating expenses, and on political action as well. Among its member churches is the United Methodists, and that includes Logansport, Indiana. Last spring at the regional conference of the United Methodists, Pastor Lusseau and his parishioners proposed that the nine million strong United Methodists withdraw support from the World Council. What had troubled Pastor Lusseau and many others most of all was one particular arm of the World Council, the Special Fund of the Program to Combat Racism. The Program to Combat Racism, PCR, was funded, according to the Central Committee of the World Council, for the churches to, quote, "Move beyond charity to relevant and sacrificial action, to become agents for the radical reconstruction of society. There can be no justice without a transfer of economic resources to undergird the redistribution of political power." The fund was set up in 1970. It gave cash grants to armed guerrilla groups in southern Africa. The World Council requests that the money go for humanitarian purposes, but exercises no control over it. Since 1970, the World Council has raised about $5-1/2 million worldwide in special appeals to help groups like FERLIMO in Mozambique, the Patriotic Front in Zimbabwe-Rhodesia, SWAPD in Namibia, and guerrillas in Angola, all when they were openly violent. Critics point out that these church-supported guerrillas who have come to power have, for the most part, not been guarantors of either political or religious freedom. For many Christians, the openly political nature of the Program to Combat Racism was just too much. PASTOR LUSSEAU: If we are people of peace, it is time to send a message to the decision-makers of the World Council of Churches that we will not be guilty by association in the killing and murder of human beings under the disguise of eliminating racism. SAFER: Pastor Lusseau's petition was soundly defeated. But he was not the only one concerned. Just a year earlier, the 2,000,000 member Salvation Army withdrew from active participation in the World Council. Commissioner John Needham, head of the Army in the United States, told us why. COMMISSIONER JOHN NEEDHAM: I think the support of a good many extremely radical causes around the world. I think the straw that broke the camel's back was finally the actual gifts of money to the guerrillas who were operating in Zimbabwe. And some of our people were being killed, for that matter. SAFER: In fact, the World Council gave a grant of $85,000 to the Patriotic Front fighting the Smith regime in Rhodesia just two months after eight Christian missionaries, including two from the Salvation Army, were murdered. Most believe the guerrillas did it. The World Council says Rhodesian troops were responsible. COMMISSIONER NEEDHAM: Now we serve -- we've been serving in Zimbabwe, Rhodesia before that, for over 80 years. So there's no sense in which we separate ourselves from the needs of the common man. That's where the Army was born. But we're not about to get involved in anything that has any violent overtones as we go about our work. SAFER: Did the World Council try to justify this kind of deep political involvement? COMMISSIONER NEEDHAM: It's an interpretation of the Christian gospel that you should be a part of any means to better the lot of the common man. SAFER: But this determination to help the common man could mean money for weapons. COMMISSIONER NEEDHAM: That's right. Of course the suggestion was that, of course, monies from the World Council was being given to feed, to take care of medicines, that sort of program. But after all, the end result was there were guerrillas about their work, you know, which resulted in death and violence. SAFER: The question of whether money from American contributions pays for guns or is misdirected in other ways goes to the very heart of the matter. Just how does the World Council see itself in relation to the concerns of the Salvation Army? And what is its role in the secular world? We went to its headquarters in Geneva and talked to Dr. Philip Potter, a prominent West Indian clergymen who's been General Secretary of the World Council since 1972. DR. PHILIP POTTER: The question of whether aid and the support for justice can be left apart is a serious problem to the Salvation Army. I know it speaks about soup, soap and salvation. But soup and soap is not enough. The causes for the need for soup and soap are deeply important. And it is the question of when you speak about the causes and the structures of those societies which bring about oppression and bring about poverty, these are the things we have challenged. Now the Salvation Army depends for its aid work, its work of mercy from large contributions from powerful groups that are involved economically and militarily in these countries. COMMISSIONER NEEDHAM: You know, an article just came out in some magazine that said one source said that the Army left the World Council of Churches because of pressure of large corporations. Nothing could be farther. There's never been anybody that's ever talked to us. We've never related to, never had any suggestions from, you know, any corporation, that because the World Council is political we should withdraw. Nothing. That kind of stuff -- I don't know where people get those kinds of ideas. DR. POTTER: Is it enough just to -- when people are down in the gutter, is it enough just to go and try and lift them up? Or is it important for us who are part of the system to do something to change that situation? And when Christ came, he spoke very firmly about all those things that prevented human beings from having their dignity. He acted as well as spoke. SAFER: And in the practical world, that may mean supplying these oppressed with guns. DR. POTTER: We have not done that, and it's never been proved that we did that. SAFER: But you're convinced that the people in SWAPO who receive money from World Council have this fine distinction about what they'll do with the money, because the World Council gives it without strings. SAFER: But you wouldn't know if they misused it. DR. POTTER: We do know. SAFER: But you wouldn't know if they did. DR. POTTER: Nor have you been able to prove that they've used it for arms. SAFER: A criticism often heard of the World Council is the relative ease with which it denounces human rights' violations in the West but rarely does it point out the policies of oppression that exist in the Soviet dominated world. As an example, a World Council task force that visited Australia to look into the treatment of aborigines. It was led by a Pakistani, Dr. Anwar Barket, head of the Program to Combat Racism. In less than three days there, or three days, Dr. Barket announces that the Australian government is practicing genocide. I wonder if genocide is the right word for a terribly complicated historical situation. DR. POTTER: Dr. Barket was not speaking for the World Council of Churches. Naturally, anybody working for the World Council of Churches would have to watch what he or she says, because it will be conceived as speaking for the World Council. The only bodies that can speak for the World Council are its Assembly, its Central Committee, its Executive Committee, its officers and myself. And -- however, the word "genocide" is, of course, a strong word. But what it does convey this this, that when people come in as colonists and the indigenous people's customs are not observed, you know, and they are pushed aside, they lose the sense of the wholeness of their life, and they die out. You know, they take to drink and all the other things. And that is -- is -- is -- is the phrase that is used by sociologists as ethnic -- ethnic genocide. SAFER: I understand that. A good part of the population of Australia, of the non-aboriginal part of the population, is perfectly aware and has been trying to do something about it. I wonder if the arrival of a World Council delegation spouting genocide enhances the Australian awareness of the problem. DR. POTTER: Actually -- actually that group was invited by the Council of Churches of Australia and by the churches for the very simple reason that the Australian people's consciousness was not sufficiently aware of that situation there. SAFER: Another member of that delegation was Madame Adler, who said that Marxist analysis should be used to examine Australian racism; this from an East German whose entire nation is enclosed by barbed-wire. Marxist analysis coming out of the mouth of the World Council of Churches? DR. POTTER: Well, first of all, the barbed-wire is rather strange, because we had our Central Committee in Dresden last year in August, in which 400 people, including a lot of journalists, over 100 journalists, were able to visit nearly 100 parishes on a Sunday and were able to mingle for several hours with the people in Eastern Europe, in East Germany. So the barbed-wire question is a bit much, isn't it? SAFER: No, it's not, because how many of those parishioners would be allowed to come and visit here in Geneva? DR. POTTER: Well, that -- that is a problem. There is a problem. But don't call it barbed-wire in that sense. SAFER: Well, if you've been to that border, because it is barbed-wire. DR. POTTER: Okay. There is barbed-wire in Berlin, yes. SAFER: No, right across the border of East Germany, not just Berlin. SAFER: But I should think that a Marxist analysis would be anathema to anyone representing the World Council of Churches. DR. POTTER: Miss Adler spoke for herself. But I would say that Marxist analysis -- Marxist analysis of -- of the causes of -- of poverty and of oppression has been a very useful analysis. But Christians use that analysis very critically in terms of our own faith. SAFER: A motto of the Salvation Army is to change the world one life at a time. A recurring theme of the World Council of Churches is the redistribution of power. What exactly does redistribution of power mean? COMMISSIONER NEEDHAM: Well, I think it's a changing of the structures of society thereafter. There is a difference in the world amongst religious people, obviously. There are the liberals and the conservatives; the liberals believing that you do, in fact, in changing the structures of society, you bring about salvation. We rather think you make a better man and you get a better world. SAFER: There is some indication that many American Protestants would agree with Commissioner Needham. The National Council, in analyzing a survey on Americans and religion, found that three-quarters of its members consider themselves either moderate or conservative. In its report, the National Council cautions that the results of the survey should not be given wide distribution. It states "Although we may all agree that public opinion does not set our marching orders, there are those who will see some of these findings as showing how out of step the National Council is with its own constituency and censure us for it. To those who are hunting for such ammunition, we need not supply a silver bullet. "This is not intended to be a broadly disseminated document for the general public." Clergy and Laity Concerned is a nationwide network within the religious community which was founded to mobilize opposition to U.S. intervention in Southeast Asia. In late 1965, John C. Bennett, William Sloane Coffin, Jr., Rabbi Abraham Heschel and others organized the National Emergency Committee of Clergy Concerned About Vietnam. This committee soon developed a national organization of Roman Catholic, Jewish, and Protestant clergymen and laymen which was known as Clergy and Laymen Concerned About Vietnam (CALCAV). Richard R. Fernandez was hired as Executive Secretary in 1966, continuing in that capacity or as Co-Director until 1973. Others who have served as Director or Co-Director include Richard M. Boardman, John Collins, Robert S. Lecky, Barbara Lupo, Don Luce, Richard Van Voorhis, and Trudi Schutz Young. Birth name	William Sloane Coffin Jr.
William Sloane Coffin Jr. (June 1, 1924 – April 12, 2006) was an American Christian clergyman and long-time peace activist. He was ordained in the Presbyterian Church, and later received ministerial standing in the United Church of Christ. In his younger days he was an athlete, a talented pianist, a CIA officer, and later chaplain of Yale University, where the influence of Reinhold Niebuhr's social philosophy led him to become a leader in the Civil Rights Movement and peace movements of the 1960s and 1970s. He also was a member of the secret society Skull and Bones. He went on to serve as Senior Minister at the Riverside Church in New York City and President of SANE/Freeze (now Peace Action), the nation's largest peace and social justice group, and prominently opposed United States military interventions in conflicts, from the Vietnam War to the Iraq War. He was also an ardent supporter of gay rights. William Sloane Coffin Jr. was born into the wealthy elite of New York City. His paternal great-grandfather William Sloane was a Scottish immigrant and co-owner of the very successful W. & J. Sloane Company. His uncle was Henry Sloane Coffin, president of Union Theological Seminary and one of the most famous ministers in the U.S. His father, William Sloane Coffin, Sr. was president of the Metropolitan Museum of Art and an executive in the family business. His mother, Catherine Butterfield, had grown up in the Midwest, and as a young woman spent time in France during World War I providing relief to soldiers, and met her future husband there, where he was also engaged in charitable activities. Their three children grew up fluent in French by being taught by their nanny, and attended private schools in New York. William Sr.'s father, Edmund Coffin, was a prominent lawyer, real estate developer, and reformer who owned a property investment and management firm that renovated and rented low-income housing in New York. Upon Edmund's death in 1928, it went to his sons William and Henry, with William managing the firm. When the Great Depression hit in 1929, William allowed tenants to stay whether or not they could pay the rent, quickly draining his own funds, and at a time when the family's substantial W. & J. Sloane stock was not paying dividends. William Sloane Coffin, Sr. died at home on his oldest son Edmund's eleventh birthday in 1933 from a heart attack he suffered returning from work. After this, his wife Catherine decided to move the family to Carmel, California, to make life more affordable, but was able to do this only with financial support from her brother-in-law Henry. After years spent in the most exclusive private schools in Manhattan, the three Coffin children were educated in Carmel's public schools, where William had his first sense that there was injustice—sometimes very great—in the world. A talented musician, he became devoted to the piano and planned a career as a concert pianist. At the urging of his uncle Henry (who was still contributing to the family's finances), his mother enrolled him in Deerfield Academy in 1938. The following year (when Edmund left for Yale University), William moved with his mother to Paris at the age of 15 to receive personal instruction in the piano and was taught by some of the best music teachers of the 20th century, including Nadia Boulanger. The Coffins moved to Geneva, Switzerland, when World War II came to France in 1940, and then back to the United States, where he enrolled in Phillips Academy in Andover, Massachusetts. Having graduated from high school in 1942, William enrolled at Yale College and studied in the School of Music. While continuing his pursuit of the piano, he was also excited by the prospect of fighting to stop fascism and became very focused on joining the war effort. He applied to work as a spy with the Office of Strategic Services in 1943, but was turned down for not having sufficiently "Gallic features" to be effective. He then left school, enlisted in the Army, and was quickly tapped to become an officer. After training, he was assigned to work as liaison to the French and Russian armies in connection with the Army's military intelligence unit, and where he heard first-hand stories of life in Stalin's USSR. After the war, Coffin returned to Yale, where he would later become President of the Yale Glee Club. Coffin had been a friend of George H. W. Bush since his youth, as they both attended Phillips Academy (1942). In Coffin's senior year, Bush brought Coffin into the exclusive Skull and Bones secret society at the university. Upon graduating in 1949, Coffin entered the Union Theological Seminary, where he remained for a year, until the outbreak of the Korean War reignited his interest in fighting against communism. He joined the CIA as a case officer in 1950 (his brother-in-law Franklin Lindsay had been head of the Office of Policy Coordination at the OSS, one of the predecessors of the CIA) spending three years in West Germany recruiting anti-Soviet Russian refugees and training them how to undermine Stalin's regime. Coffin grew increasingly disillusioned with the role of the CIA and the United States due to events including the CIA's involvement in overthrowing Prime Minister Mohammed Mossadegh of Iran in 1953, followed by the CIA's orchestration of the coup that removed President Jacobo Árbenz in Guatemala in 1954. After leaving the CIA, Coffin enrolled at Yale Divinity School and earned his Bachelor of Divinity degree in 1956, the same year he was ordained a Presbyterian minister. This same year he married Eva Rubinstein, the daughter of pianist Arthur Rubinstein, and became chaplain at Williams College. Soon, he accepted the position as Chaplain of Yale University, where he remained from 1958 until 1975. Gifted with a rich bass-baritone voice, he was an active member of the Yale Russian Chorus during the late 1950s and 1960s. With his CIA background, he was dismayed when he learned in 1964 of the history of French and American involvement in South Vietnam. He felt the United States should have honored the French agreement to hold a national referendum in Vietnam about unification. He was in early opposition to the Vietnam War and became famous for his anti-war activities and his civil rights activism. Along with others, he was a founder in the early 1960s of the Clergy and Laity Concerned About Vietnam, organized to resist President Lyndon Johnson's escalation of the war. Coffin had a prominent role in the Freedom Rides challenging segregation and the oppression of black people. As chaplain at Yale in the early 1960s, Coffin organized busloads of Freedom Riders to challenge segregation laws in the South. Through his efforts, hundreds of students at Yale University and elsewhere were recruited into civil rights and anti-war activity. He was jailed many times, but his first conviction was overturned by the Supreme Court. In 1962, he joined SANE: The Committee for a SANE Nuclear Policy, an organization he would later lead. Approached by Sargent Shriver in 1961 to run the first training programs for the Peace Corps, Coffin took up the task and took a temporary leave from Yale, working to develop a rigorous training program modeled on Outward Bound and supervising the building of a training camp in Puerto Rico. He used his pulpit as a platform for like-minded crusaders, hosting the Rev. Martin Luther King Jr., South African Archbishop Desmond Tutu, and Nelson Mandela, among others. Fellow Yale graduate Garry Trudeau has immortalized Coffin (combined with Coffin's protege Rev. Scotty McLennan) as "the Rev. Scot Sloan" in the comic strip Doonesbury. During the Vietnam War years, Coffin and his friend Howard Zinn often spoke from the same anti-war platform. An inspiring speaker, Coffin was known for optimism and humor: "Remember, young people, even if you win the rat race, you're still a rat." By 1967, Coffin concentrated increasingly on preaching civil disobedience and supported the young men who turned in their draft cards. He was, however, uncomfortable with draft-card burning, worried that it looked "unnecessarily hostile". Coffin was one of several persons who signed an open letter entitled "A Call to Resist Illegitimate Authority", which was printed in several newspapers in October 1967. In that same month, he also raised the possibility of declaring Battell Chapel at Yale a sanctuary for resisters, or possibly as the site of a large demonstration of civil disobedience. School administration barred the use of the church as a sanctuary. Coffin later wrote, "I accused them of behaving more like 'true Blues than true Christians'. They squirmed but weren't about to change their minds.... I realized I was licked." And so on January 5, 1968, Coffin, Dr. Benjamin Spock (the pediatrician and baby book author who was also a Phillips Academy alumnus), Marcus Raskin, and Mitchell Goodman (all signers of "A Call to Resist Illegitimate Authority" and members of the anti-war collective RESIST) were indicted by a Federal grand jury for "conspiracy to counsel, aid and abet draft resistance". All but Raskin were convicted that June, but in 1970 an appeals court overturned the verdict. Coffin remained chaplain of Yale until December 1975. In 1977, he became senior minister at the Riverside Church—an interdenominational congregation affiliated with both the United Church of Christ and American Baptist Churches—and one of the most prominent congregations in New York City. He was a controversial, yet inspirational leader at Riverside. He openly and vocally supported gay rights when many liberals still were uncomfortable with homosexuality. Some of the congregation's socially conservative members openly disagreed with his position on sexuality. Coffin started a strong nuclear disarmament program at Riverside, and hired Cora Weiss (a secular Jew he had worked with during the Vietnam War and had traveled with to North Vietnam in 1972 to accompany three released U.S. prisoners of war), an action which was uncomfortable for some parishioners. Broadening his reach to an international audience, he met with numerous world leaders and traveled abroad. His visits included going to Iran to perform Christmas services for hostages being held in the U.S. embassy during the Iran hostage crisis in 1979 and to Nicaragua to protest U.S. military intervention there. In 1987, he resigned from Riverside Church to pursue disarmament activism full-time, saying then that there was no issue more important for a man of faith. He became president of SANE/FREEZE (now Peace Action), the largest peace and justice organization in the United States. He retired with the title president emeritus in the early 1990s, and then taught and lectured across the United States and overseas. Coffin also wrote several books. He cautioned that we are all living in "the shadow of Doomsday", and urged that people turn away from isolationism and become more globally aware. Shortly before his death, Coffin founded Faithful Security, a coalition for people of faith committed to working for a world free of nuclear weapons. Coffin was married three times. His first two marriages, to Eva Rubinstein and Harriet Gibney, ended in divorce. He was survived by his third wife, Virginia Randolph Wilson (called "Randy"). Eva Rubinstein, his first wife and the mother of his children, was a daughter of pianist Arthur Rubinstein. The loss of their son Alexander in a car accident in 1983 inspired one of Coffin's most requested sermons. He was given only six months to live in early 2004 due to a weakened heart. Coffin and his wife lived in the small town of Strafford, Vermont, a few houses away from his brother Ned, until his death nearly two years later at age 81. 1. Goldstein, Warren. William Sloane Coffin Jr.: A Holy Impatience (2005). 2. "Service for William Sloane Coffin to be Held at Yale". Yale News. Retrieved 2017-02-12. 3. Charney, Marc D. (2006-04-13). "Rev. William Sloane Coffin Dies at 81; Fought for Civil Rights and Against a War". The New York Times. ISSN 0362-4331. Retrieved 2017-02-12. 4. Rick Perlstein (2015). The Invisible Bridge: The Fall of Nixon and the Rise of Reagan. Simon and Schuster. p. 131. 5. “Interview with William Sloane Coffin, 1982.”, August 30, 1982. WGBH Media Library & Archives. Retrieved November 9, 2010. 6. Foley, M.S. (2003). Confronting the War Machine: Draft Resistance During the Vietnam War. University of North Carolina Press. p. 120. ISBN 978-0-8078-5436-5. 7. Geoffrey Kabaservice (2005). The Guardians: Kingman Brewster, His Circle, and the Rise of the Liberal Establishment. Henry Holt. p. 320. 9. SANE: The Committee for a SANE Nuclear Policy merged with the Nuclear Weapons Freeze Campaign in 1987 and was renamed SANE/FREEZE; it was renamed Peace Action in 1993. 10. Schudel, Matt; Bernstein, Adam (April 16, 2006). "The Rev. William Sloane Coffin made his mark as activist, rebel". The Seattle Times. Retrieved 2017-02-12. •	William Sloane Coffin - Not to Bring Peace, But a Sword Sermon and interview. 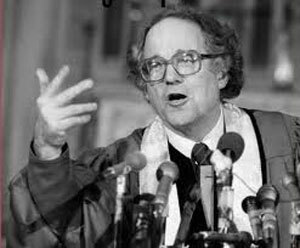 •	http://www.williamsloanecoffin.org This is the complete digital collection of William Sloane Coffin's sermons preached from the pulpit of New York City's Riverside Church 1977–1987. •	Speech "Who Is the Enemy?" delivered April 8, 1983 at a symposium in Kansas City. •	Tribute of Yale Class of 1968 to its "Permanent Chaplain "
Flaig is not the first to have regarded Wilamowitz as a proto-Nazi. On pp. 56-79 of Wilamowitz nach 50 Jahren (edd. W.M. Calder III, H. Flashar and T. Lindken, 1985), L. Canfora anticipates Flaig by setting out to prove Wilamowitz to have been a kind of National Socialist avant la lettre. In a review of the book in which Canfora's piece appeared (Classical Review 36 , 400-1 = Academic Papers, 1990, ii 400-1)), I dealt briefly with his thesis. I remarked that Wilamowitz belonged to the Prussian aristocracy of his time, which had a strong strain of nationalism and militarism and that he did all he could to promote the German cause in the First World War. But I pointed out that though Wilamowitz, like many persons of his type, may have thrown out the odd remark that sounded anti-Semitic, he was certainly not anti-Semitic in his practice and that a letter published in the same book as Canfora's piece (p.612) showed his utter contempt for racial theories about Aryanism. I wrote that "he would have despised Hitler as a socialist and a guttersnipe, and, though he would have derived pleasure, had he lived on, from the triumphs of 1939-41, July 1944 would have found him in full sympathy with the conspirators, who were indeed people of his own kind." -- Ingo Gildenhard, Martin Ruehl, Out of Arcadia: Classics and Politics in Germany in the Age of Burckhardt, Nietzsche and Wilamowitz. BICS, Suppl. 79. London: Institute of Classical Studies, School of Advanced Study, University of London, 2003. Pp. vii, 208. •	"The Ethical Presuppositions of a World Order", an essay in The Universal Church and the World of Nations (1938). 2. Discussed in J. D. B. Miller, "The Commonwealth and World Order: The Zimmern Vision and After" (1979), Journal of Imperial and Commonwealth History, 8: p. 162. 5. Kathleen Woodroofe, "The Making of the Welfare State in England: A Summary of Its Origin and Development", Journal of Social History, Vol. 1, No. 4 (Summer, 1968), pp. 303–324. 6. Oxford English Dictionary, from 1941. 7. Noam Pianko, "The True Liberalism of Zionism”: Horace Kallen, Jewish Nationalism, and the Limits of American Pluralism, American Jewish History, 94(4), December 2008. 8. "University intelligence". The Times (36770). London. 17 May 1902. p. 11. 13. 2001 edition of the Crisis, introduction by Michael Cox, note p. xciii. 16. Duncan Wilson, Gilbert Murray, p. 357. This is the complete correspondence surrounding my FOIA request for records of the CIA's briefing of Eugene Carson Blake before his trip to Moscow in March of 1956. ARP's response is that the initial "neither confirm nor deny" was appropriate. Have made a request for review with NARA OGIS. Under the freedom of Information Act, 5 U.S.C. subsection 552, I am requesting records of CIA contact with or briefing of the members of a delegation from the National Council of the Churches of Christ which visited Moscow in March 1956, including correspondence, reports, minutes, and transcripts of interviews. The delegation initiated contact with the State Department in September 1955 regarding its trip to Moscow, and left for Moscow on March 9, 1956. They were most likely briefed by Agency staff in New York City during the first week of March, 1956. The nine men in the delegation were: Paul B. Anderson, Roswell P. Barnes, Eugene Carson Blake, Franklin Clark Fry, Herbert Gezork, D. Ward Nichols, Charles C. Parlin, Henry Knox Sherrill, and Walter W. Van Kirk. If there are any fees for searching for, reviewing, or copying the records, please notify me before processing if the amount exceeds $100. Please contact me directly with any further questions, by phone at 215-928-3864, or by email at dstaniunas[at]history[dot]pcusa[doct]org. This is a final response to your 16 March 2015 Freedom of Information Act (FOIA) request, received in the office of the Information and Privacy Coordinator on 16 March 2015, for "records of CIA contact with or briefing of the members of a delegation from the National Council of the Churches of Christ which visited Moscow in March 1956, including correspondence, reports, minutes, and transcripts of interviews." You stated that "they were most likely briefed by Agency staff in New York City." In accordance with section 3.6(a) of Executive Order 13526, the CIA can neither confirm nor deny the existence or nonexistence of records responsive to your request. The fact of the existence or nonexistence of requested records is currently and properly classified and is intelligence sources and methods information that is protected from disclosure by section 6 of the CIA Act of 1949, as amended, and section 102A(i)(1) of the National Security Act of 1947, as amended. Therefore, your request is denied pursuant to FOIA exemptions (b)(1) and (b)(3). I have enclosed an explanation of these exemptions for your reference and retention, As the CIA Information and Privacy Coordinator, I am the CIA official responsible for this determination. You have the right to appeal this response to the Agency Release Panel, in my care, within 45 days from the date of this letter. Please include the basis of your appeal. This letter is to appeal the response of 15 April neither confirming nor denying the existence of records of CIA contact with or briefing of the members of a delegation from the National Council of the Churches of Christ which visited Moscow in March 1956. Decatur Ward Nichols, died January 24, 2005. Henry Knox Sherrill, died May 11, 1980. Eugene Carson Blake, died July 31, 1985. Charles Parlin, died November 15, 1981. Walter Van Kirk, died July 6, 1956. Herbert Gezork, died October 1984. Roswell Barnes, died December 21, 1990. Franklin Clark Fry, died June 6, 1968. Paul B. Anderson, died June 26, 1985. Metropolitan Nikolai, died December 13, 1961. Patriarch Alexei, died April 17, 1970. This statement suggests that a routine 50-year classification of records to protect sensitive human sources is common practice. Given that 59 years have elapsed since March 1956, prior administrative practice suggests that records pertinent to my request should be declassified and released. 3) The method in question -– contacting and cultivating religious figures as sources of foreign intelligence -– has been acknowledged by the CIA for the past 40 years. Thank you for your attention, and please contact me directly with any further questions. On 2 June 2015, the office of the Information and Privacy Coordinator received your 27 May 2015 administrative appeal under the Freedom of Information Act (FOIA) for records on "CIA contact with or briefing of the members of a delegation from the National Council of the Churches of Christ which visited Moscow in March 1956, including correspondence, reports, minutes, and transcripts of interviews." Please continue to use this case reference number so that we can more easily identify your FOIA administrative appeal. You are appealing our initial-level determination to neither confirm nor deny you material responsive to your request. Your appeal has been accepted and arrangements are being made for its consideration by the Agency Release Panel. You will be advised of the panel's determination. In order to afford requesters the most equitable treatment possible, we have adopted the policy of handling appeals on a first-received, first-out basis. Despite our best efforts, however, the large number of public access requests CIA receives creates processing delays making it unlikely that we can respond to you within 20 working days. In view of this, some delay in our reply must be expected, but every reasonable effort will be made to respond as soon as possible. This is a final response to your 27 May 2015 administrative appeal under the Freedom of Information Act (FOIA), which was processed under the referenced case identification number by the office of the Information and Privacy Coordinator. As a reminder, you appealed our initial-level determination to that we could neither confirm nor deny the existence or nonexistence of material responsive to your request. The Agency Release Panel considered your petition and fully denied your administrative appeal in accordance with Agency regulations set forth in Part 1900 of Title 32 of the Code of Federal Regulations. In reaching this determination to reaffirm CIA's initial-level processing of this request, the Agency Release Panel concluded that, in accordance with Section 3.6(a) of Executive Order 13526, the CIA can neither confirm nor deny the existence or nonexistence of records responsive to your request. The fact of the existence or nonexistence of such records is itself currently and properly classified and relates to intelligence sources and methods information that is protected from disclosure by section 6 of the CIA Act of 1949, as amended, and section 102A(i)(1) of the National Security Act of 1947, as amended. As the panel's Executive Secretary, I am the CIA official responsible for informing you of the appellate determination. In accordance with the provisions of the FOIA, you have the right to seek judicial review of this determination in a United States district court. Alternatively, the Office of Government Information Services (OGIS) offers mediation services to resolve disputes between FOIA requesters and federal agencies. Using services offered by OGIS does not affect your right to pursue litigation. For more information, including how to contact OGIS, please consult its website, http://ogis/archives.gov.